BATTLESAURUS: CLASH OF EMPIRES is the next book in the Battlesaurus series, and we're thrilled to have Brian Falkner here to chat about it. Brian, what was your inspiration for writing BATTLESAURUS: CLASH OF EMPIRES? I guess the inspiration really was the inspiration for the first book in the series. A crazy idea that occurred to me one day about changing history, just a little bit. If dinosaurs had not been wiped out by a meteor, what would life be like in our world. Of course scientists will say that dinosaurs couldn’t survive in the modern world anyway, but why spoil the fun! There is a tragic love affair in the book between two deeply damaged people. The culmination of that relationship was very hard for me to write. It had to be honest and heart-felt, and to wrap up all the tendrils of that relationship. The Hunger Games, although vastly different in style, concept and setting, would probably appeal to a reader who loves Battlesaurus. How long did you work on BATTLESAURUS: CLASH OF EMPIRES? How hard it is to write a sequel, taking characters we already know and revealing new aspects of their characters, tying up all the loose ends, and still telling a very strong story in its own right. 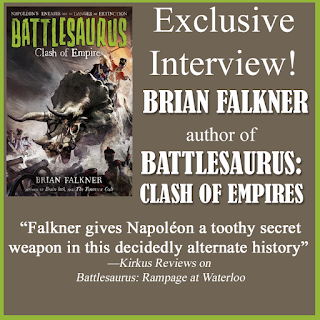 What do you hope readers will take away from BATTLESAURUS: CLASH OF EMPIRES? It is an entertainment. There is no moral, nothing to learn. It is a thrilling, suspenseful rollercoaster ride. This is my fourteenth novel. 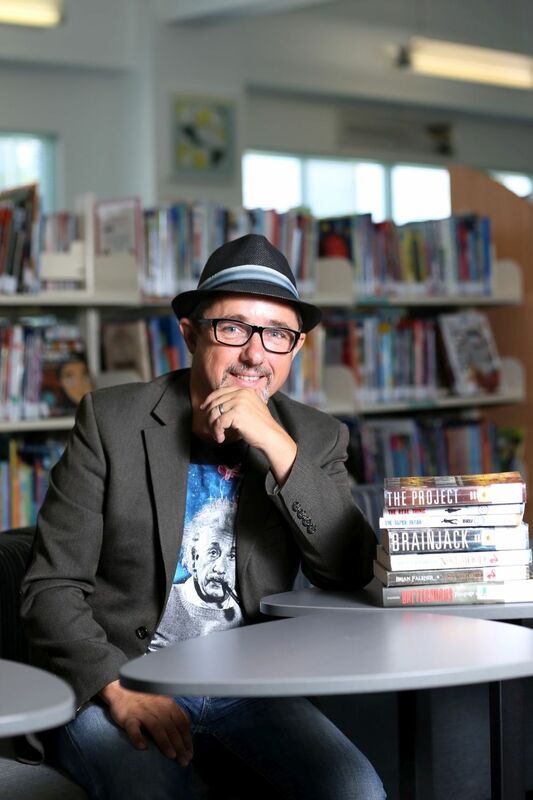 I have two unpublished novels since I have been writing professionally. Many of them while writing the first book in the series. While researching the time period I was astonished to find so many true facts that fitted perfectly with the world of the novels. One of the most important was the invention of the battery, and the relationship of the inventor to Napoleon Bonaparte who is a key figure in the novels. I work mainly at home, but also on trains, planes and cafes. It’s not an easy road, but it’s worth it. Never ever give up. A series of workbooks for young writers teaching them valuable writing skills. In this roaring alt-history adventure, dinosaurs from a forbidden world have been turned into unstoppable weapons by one of the most ferocious military leaders of all time: Napoléon Bonaparte. In the wake of his crushing victory at Waterloo, Napoléon unleashes his vicious French general Marc Thibault and his brigade of giant battlesaurs to strike terror across Europe. England stands alone, but an invasion is looming. Its only hope is a secret attack led by Willem, a magician's son, deep inside enemy territory, to the very heart of Napoléon's terrifying new army. In a stunning sequel to Battlesaurus: Rampage at Waterloo, deception and betrayal threaten the mission from its outset, but the courage and perseverance of Willem the "saur killer" and his compatriots lead to a clash of titanic proportions. 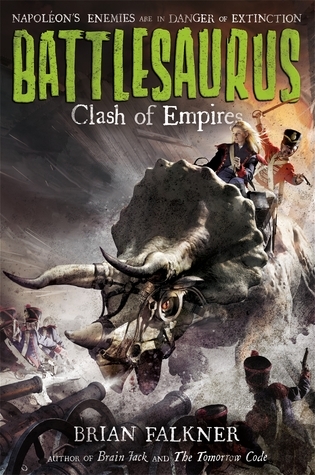 Have you had a chance to read BATTLESAURUS: CLASH OF EMPIRES yet? While researching do you find true facts that fit perfectly into your novel? Do you listen to music to set the tone? Share your thoughts about the interview in the comments!